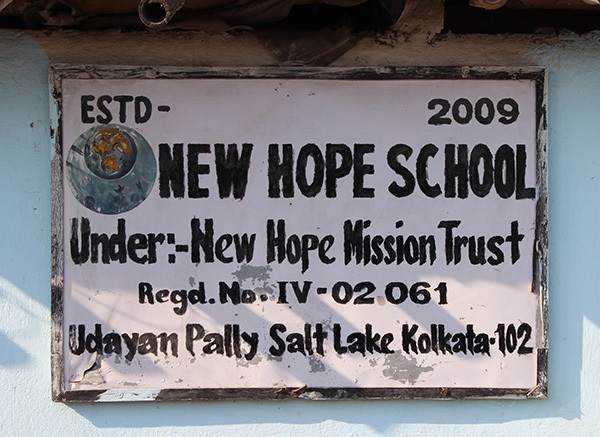 As we make final preparations for the upcoming mission trip to Kolkata, India, I would like to take this opportunity to share some stories of the children whose lives are being transformed by the New Hope School. First, I would like you to meet Shelly. Shelly was rescued by the Pastor and his wife who founded and oversee the New Hope School. 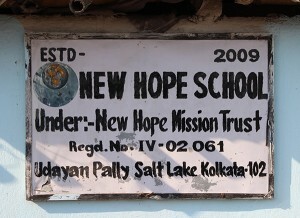 The New Hope school is located in the Udayan Polly slum area of Kolkata. Please find Shelly’s story below. Hi, I am shelly(Name Changed)13 years of age. Let me share my life story. Read carefully and pray for me. I have one sister and one brother. We live in a slum village in a tiny house, where I can see star, moon through my wrecked roof. We all (my brother, sister and me) were coursing our fate, that why we born in this family. My father drinks a lot. Spend all the money on alcohol. Very hardly we get two full meal (rice and potato) a day. My father bits my mother almost every day. He bits us frequently. Some time I think, I should run away from my home to get rid of starvation and from the beating of my father. We had no opportunity to visit a School . I had been watching other children to go to school. Some time I ask them about school and think about myself, why I should not go to school. I want to learn. One day (4years back) I heard that, some people came from a church and want to open a School for our slum children. One day one man came to our house and invited us to visit the new opened school (later it Became The New Hope School) . I with my brother and sister went to school and learned that, this school is for our slum children, who never had a chance to go to a school. They will supply books, note books and even free tuition . I was very happy and thank my goddess (that time I was an Idol worshiper).I began to go to school. Learned many things, English, math, Social Science and General Science and many. More over the love and care I got from all my teachers, which I was not getting from my parent. Slowly I began to learn about Jesus Christ. I began to learn, whom to pray, how to pray. I put Trust open Jesus Christ. I stop Idol worship, as I am first child to my parent ,in our custom that, First Girl child to offer flower and fragrance stick before Idols. My mother bit many times and force me to offer worship before Idols, but finally I won. I am enjoying the love and care of my Creator Lord Jesus Christ. We learn many Christian songs, Miracles of Jesus Christ, Lord’s prayer and Ten commandments Etc and Etc. I Love my New Hope School very much. Before I go to School , I had no dreams in my life, but now the New Hope School has Put a New Hope to live and enjoy my life with Jesus. I want to be an officer in a big office Like IBM. When I was thinking, everything is going on smooth, but a tragedy happened and tore my heart, which I never forget in my life. One night I was sleeping (mid night) in my house, I felt like some one pulling my leg and wanted to sleep on me. I wake up and could not see anything, because of pitch dark in our house. I heard screaming of my mother. My father was beating like anything to my Mom. My Mom was crying bitterly and was telling to me to run from my father. I did not know ,what to do and where to run. My father bolts tight our doors, so that I cannot run. Some how my mother found mobile phone and rang to our Aunty( New Hope School Principal) and requested her to take me to her house. When I and my mother cried at loud and asked help, others came forward and rescue us. My mother was severely injured. Some how I could spend that night in my distance relative house. Next morning my Aunty (School Principal came and took me to her house. When I reached Aunty house ,I thanked God for His(GOD’s) protection. Now I am very happy . I found my classmate also in Aunty house (rescued from difficult situation). Now we five (pastor and Aunty have three children) are staying in pastor and Aunt’s house. We read Bible together, memorised Verse together. Play and eat together. I found true love from them. My dear friends this is not a proud moment to scribe these. Pray for me I may forgive my Father. I do not want to see his face anymore. Like us many are suffering in our Slum village. Many girls being force to get married in very tender age. Many girls being raped many times either by their family members or outsiders. Because we are poor, no body will listen our cry. Pray I may continue my study. Pray for our pastor and Aunty .God may give them enough resource to rescue many like me. Pray God may provide us a big School, so that many dreams can be fulfilled and have a Hostel so that many Girls like me can rescue from Hell and stay safe. Pray God may change all our slum dwellers heart to stop Idol worship and know the Love of living God .Thank you for patience to read my long story. God may bless you.